Here are five tips shared by coffee lovers from Norway for how to drink coffee nkmat can you directly praktikan now. 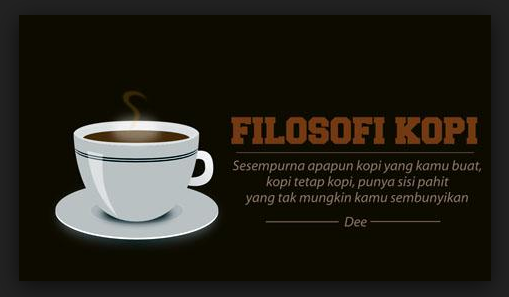 Probably the way to drink delicious coffee is to enjoy freshly brewed coffee on the same day. Therefore, it may be a very common thing to throw coffee yesterday in the sink without thinking twice. However, do you know how to drink delicious while saving? You can save a lot of money by just freezing coffee to make it ice cubes. And when you feel like you want to make an ice latte, you just take it out of the fridge and plunge a few bunches of ice in a glass. Then, pour milk until you get a cup of latte to taste. To counteract the bitter taste of coffee, you can counter it with a pinch of salt. Giving a little salt is a delicious way to drink coffee because salt will ward off your bitter tongue receptors and make your coffee taste good. Try adding natural palm sugar, coconut sugar, syrup, honey, or sugarcane juice that will give you a different and more natural sweet taste. This natural taste has a lower negative impact on health than natural sugars. Here's how to drink delicious coffee that can make you healthier. You can add some flavor to your regular coffee by adding some of your favorite natural flavors and reducing the amount of sugar. How to drink this delicious coffee requires a little spice of choice. You need a few cinnamon sticks, cardamom, or even fresh orange peel drunk along with your coffee. You can add a little sugar that will increase the taste of coffee. Your creativity is the only limit of how to drink delicious coffee. Some people feel the need for caffeine more than others. Listen to your body and find out when to say "yes" to an extra cup of coffee. Many studies show that drinking one to three cups of coffee a day (up to 300 milligrams of caffeine) does not seem to have a negative effect on most healthy people. However, pregnant women, children, people with heart disease or peptic ulcers, and the elderly may be more susceptible to the effects of caffeine and are advised to limit caffeine intake. Be aware that the caffeine content of coffee varies depending on how to bake and the method of making and the size of the cup you drink. For example, a recent study shows that a cup of 500ml of coffee at a reputable coffee shop has an average of 259 milligrams of caffeine compared to an ordinary cafe that serves only about 143 milligrams of caffeine.